A Convergence #1 Review – Mortal Kombat!!! PENCILLER: Carlo Pagulayan. Cover by Tony Daniel. 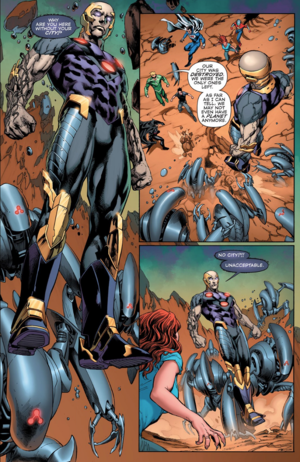 So Convergence is basically Mortal Kombat with more characters. Like, a lot more characters. Yup. Sounds like Mortal Kombat to me. Only the scope is larger, and there are more capes. We then go to the Earth-2 cast, as they land on the same planet we saw New 52 Superman on last issue. Their world has apparently been destroyed, and they’re bickering. 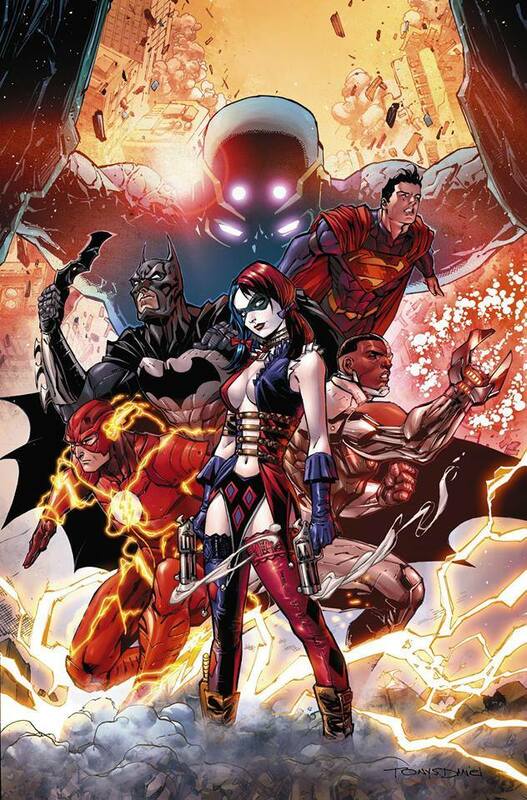 DC has apparently been building to Convergence with these characters for quite some time with the Earth-2: World’s End weekly series. I can only assume this scene is somewhat meaningful to readers who’ve been following that book. As someone who hasn’t, this scene falls a little flat. Still, the characters are themselves are intriguing. At the very least, readers with no Earth-2 knowledge get introduced to alternate versions of Superman, Batman, etc. The impression I have based on this issue is that Convergence proper is meant to be little more than the book that ties the various spin-offs together, and little more. This is mostly exposition, with very little substance. Carlos Pagulayan’s art is nice to look at. But in terms of characters we’re supposed to follow and root for, we’ve now jumped from New 52 Superman, to the Injustice characters, to the Earth-2 characters. It’s fine to have a story that spans multiple realities. But who’s guiding us through those realities? Tell me that, and you’ll have more of my attention. 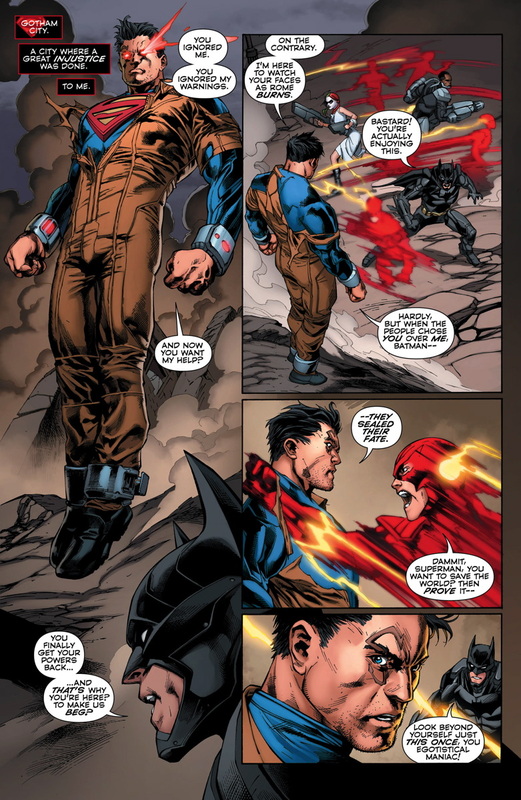 This entry was posted in Comic Books/Graphic Novels and tagged Batman, Carlo Pagulayan, comic books, Convergence #0, Convergence #1, Convergence (DC Comics), DC Comics, DC Multiverse, Earth-2 (DC Comics), Injustice: Gods Among Us, Jeff King, Mortal Kombat, Rob Siebert, Scott Lobdell, single issue reviews, Superman, Telos (DC Comics), Tony Daniel on 04/09/2015 by primaryignition.